The Explorer is our most elegant solution. It blends well in the city traffic, on the country road or even in the mountains. You can not tell it's a camper from the outside. It's suitable for those who choose to travel in pairs and you are also capable of putting the backseats up so up to five people can travel together. Please note we think only two adults can sleep in the back with one child. Add a tent or a roofrack as extras. If you need more info we are here to help! No need for a hotel! Unlimited mileage, CDW, 24/7 assistance if anything happens, insurance and taxes. 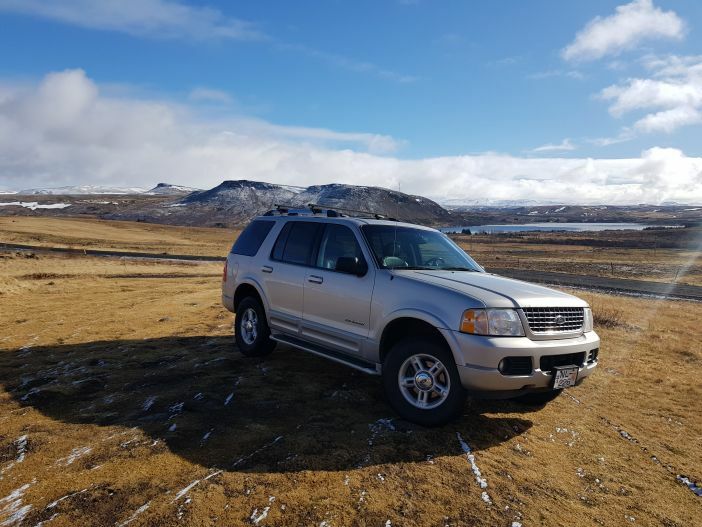 All our cars are model 2004-2008, perfectly maintaind with lots of experience on the icelandic roads and waiting for you to get even more. • From the 1st of November until the 15th of April, all of our campers will have 220v heater that you can plug in at any given camping site. Please note this car has automatic transmission and is allowed on roads marked with an f if the road is open.